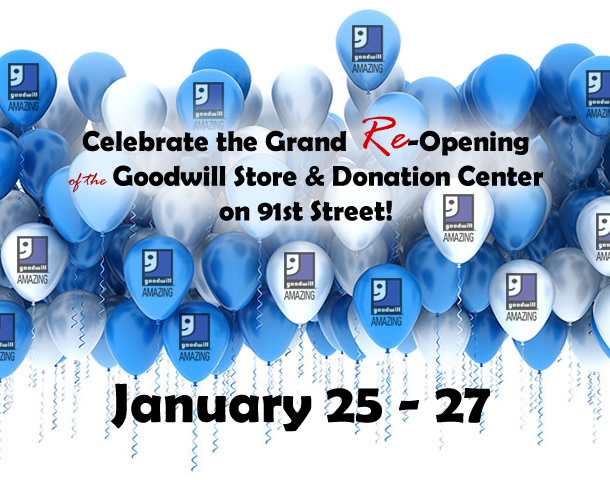 Join us as we celebrate the Grand Re-opening of our Goodwill Store & Donation Center at 6055 N. 91st Street in Milwaukee. All weekend long enter to win one of two $50 gift cards! 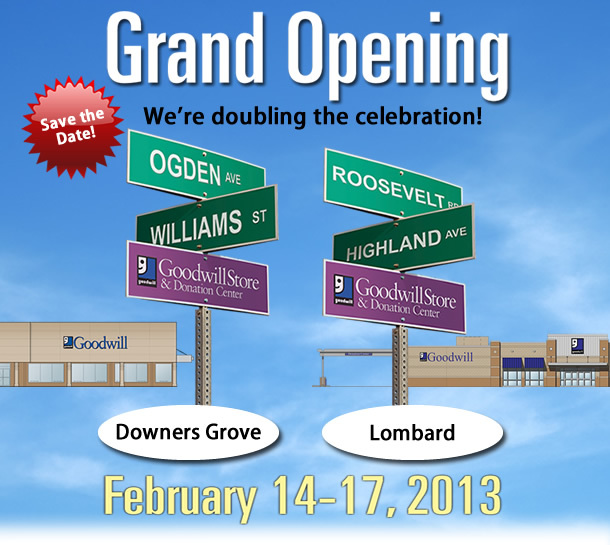 We're happy to announce the opening of two new Goodwill Stores & Donation Centers in Lombard & Downers Grove, IL, on Thursday, February 14th. 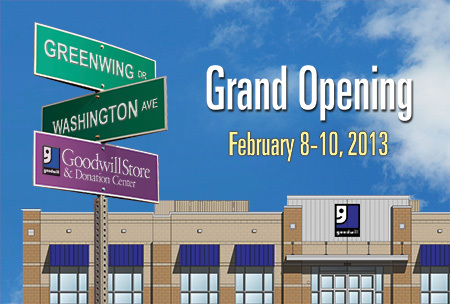 Our Goodwill Store and Donation Center in Sheboygan will open at it's new location at 3657 Greenwing Drive on Friday, February 8! Our boutique store Retique will be participating in the 2nd Annual Weddings in the Ward event on February 16th. The “Getaway with the Blackhawks” promotion begins January 20th, and each of our Goodwill Store & Donation Centers in Illinois are taking part. From January 20th, 2013 through March 20th, 2013, fans can enter at any of our Goodwill Store & Donation Centers in Illinois, or by texting “Goodwill” to BHAWKS (242957), to win tickets to highly coveted and sold-out hockey games.